Could it be? Is Spring really coming to Bethesda, MD? I still haven't finished cleaning up from all the snow damage. 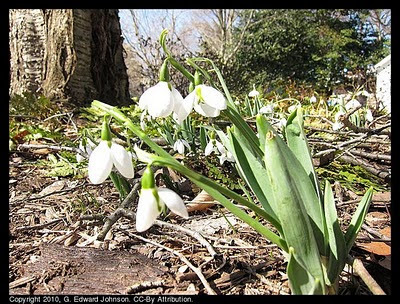 I saw several bunches of snowdrops pushing through the mulch, it makes me feel better knowing that spring is really almost here. This weekend is supposed to be relatively nice, sunny and in the fifties both days so enjoy it if you can.